Jorge works in petroleum . He works for Viking. Viking supplies life rafts for oil rigs. Like many in oil, he has some time off right now. He is staying here at the campground as a guest of his friend, the proprietor. 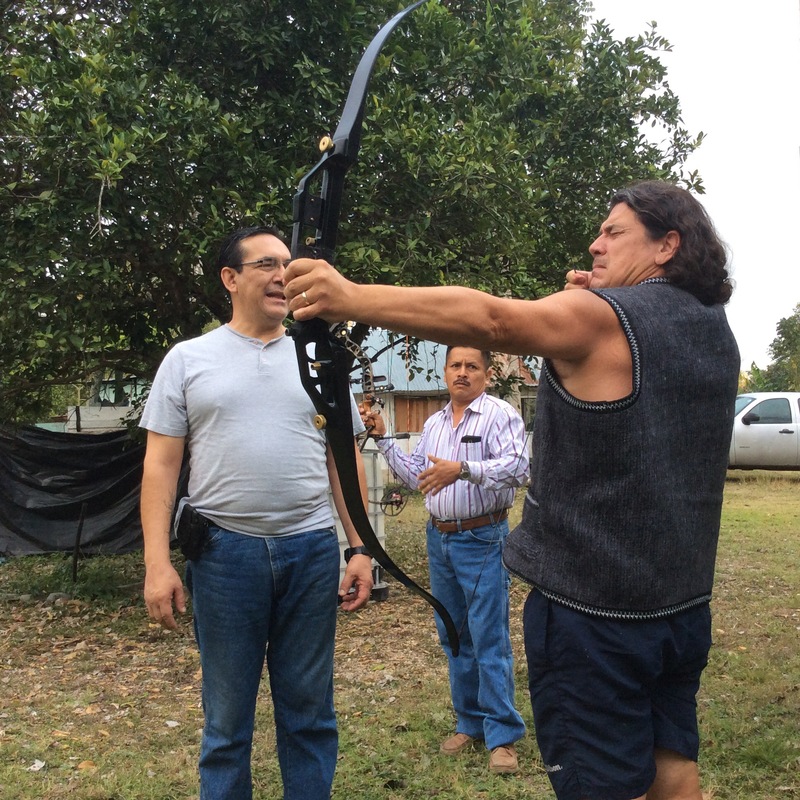 Jorge brings over two bows. One is a longbow, the other is a compound. He hands me the longbow. He says it is a sixty pound bow. He tells me to use three fingers. I feel the tension begin to resist the effort of my arms, my torso, my shoulder. I pull a bit harder and draw the string back. That felt good. 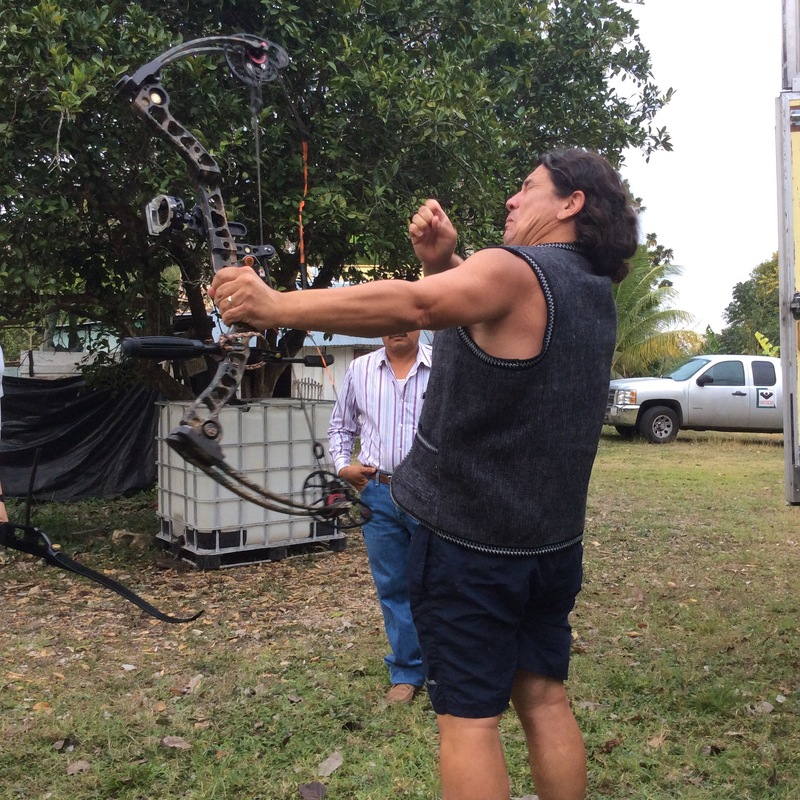 He smiles and hands me the seventy pound compound bow. I lift it level and grasp the string with three fingers. I begin to pull. I feel the bow pull back. Seventy pounds will require a bit more. I pull harder. Harder. I have broken the bow. Paula starts to laugh. She got the moment on camera. Previous Previous post: 1, 2, 3…..Go!